There are many landlords who share this concern — that going smoke-free will only make it harder to manage tenants. There is a tobacco smoke detector that’s about to hit the market. New Hampshire-based FreshAir Sensors says its AirGuard product will be available this spring. If a tenant lights up, the detector will send a real-time email alert. But there’s no need to wait on a detector to move forward with your desire to convert the building to smoke-free. Cigarette smoking produces a unique, telltale odor, and in the case of heavy smokers, you’ll find residue on windows and fabrics. 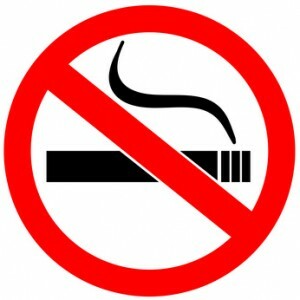 It is unlikely that you would have to catch the tenant with a lit cigarette on their lips in order to prove an infraction of the non-smoking policy. Just be diligent about recording what you do discover. There are several effective strategies to employ that will reduce the likelihood of renting to a tenant who will break the rules. Anytime you are handling a problem tenant, it’s important to remain professional and encourage the tenant’s good behavior before you make threats. My tenant is denying that they are smoking in the unit. They are stating that they are smoking outside the building and then the smell is following them in. Obviously I cannot catch them in the act. What do you suggest? While we are aware that one of the tenant’s smokes, I have included in my agreement with the tenants, that we will make a unannounced visits quarterly for the first year to ensure that the tenant is not smoking in the house. I would like to hear from others any steps they’ve taken. I stand corrected on my last comment that the tenant needs to be advised prior to the visit .